The European Parliament’s PEST Committee reached the 'wrong conclusions' and 'disregarded key evidence' over the renewal of pesticides, a new report says. The 'alternative report', by British MEP and Conservative agricultural spokesman, Anthea McIntyre, looks to set the 'record straight' and 'offer balance' to the committee’s proposals for the future of pesticides regulation in a report released last year. 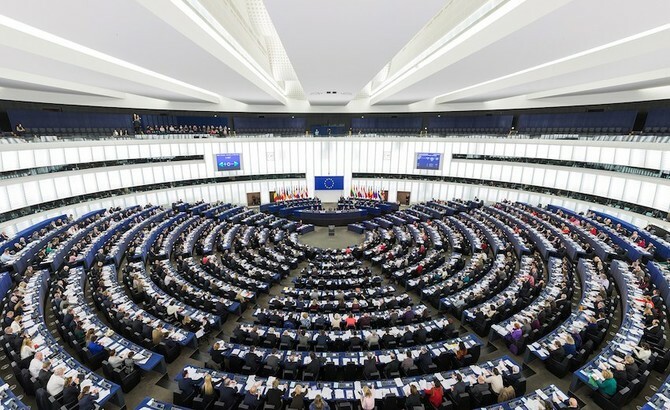 The European Parliament voted in January on the EU's temporary committee on pesticides (PEST) proposals to boost transparency in the approval procedure of pesticides through the introduction of new regulations. Plans include the public to be granted access to studies used in the authorisation procedure and the promotion of 'low-risk pesticides'. But Miss McIntyre said the voice of 'rational, science-based reasoning' needs to be heard, and to support farmers 'who are the ones that will inevitably bear the brunt of further burdensome regulation'. The MEP for West Midlands had tabled a raft of amendments to the original PEST proposals when it went before the European Parliament in January, but they were unsuccessful. According to Miss McIntyre, PEST chairman Eric Andrieu subsequently launched a personal attack her at a press conference. Miss Mcintyre said it is not flaws in the legislation that needed to be addressed, but improvements in its implementation. “This report should have struck a balance and reflected the breadth of expert testimony it heard,” she said.